Sciatica is frequently the result of spinal conditions that lead to irritation of the sciatic nerve. The sciatic nerve is the largest nerve in the body, and runs from the lower back through the upper buttocks and down to the toes. Compression or irritation of the sciatica nerve can cause low-back pain with radiating pain in the back of the legs. Sciatica is often a result of disc herniation. Spinal discs are soft cushions between the vertebra of the spine. Disc herniation is the process in which an injury or spinal degeneration causes the disc to move outside of its normal boundary. This bulging disc pinches the sciatica nerve triggering pain. Although disc herniation is a common source sciatic pain, several other mechanisms can cause pain. In a recent study, researchers used new, state-of-the-art imaging techniques to illustrate sources of sciatic pain other than disc herniation. Tumors and cysts: Various tumors and cysts can compress nerves in the lumbar spine region, causing pain. Injury: Fractures of the pelvis or sacroiliac joint can lead to lesions that place pressure on the nerves in the lumbar spinal plexus, or the group of nerves in the lumbar spine /low-back region. A hamstring injury can also lead to inflammation of the tendons and compress the adjacent sciatica nerve. Infection: Though less common, infections can lead to abscesses, causing sciatic pain. These infections can occur in association with post-surgical complications, inflammation of the sacroiliac joint, gastro-intestinal pathologies like Crohn’s disease or infections in the pelvis region. Gynecological conditions like ovarian cysts, ectopic endometriosis, or pregnancy can lead to sciatic pain, typically on the right side. Patients with sciatica due to ectopic endometriosis are typically in their reproductive years and have periodic flare-ups of sciatica known as cyclic sciatica. Piriformis syndrome occurs when the sciatic nerve is compressed due to disorders or injury of the piriformis muscle. (This is a large muscle in the gluteal region.) Patients with piriformis syndrome experience pain in their buttocks with prolonged sitting. 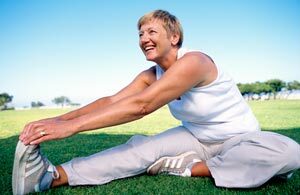 Additional causes of sciatica include pelvic, gynecological, and urological cancers. Rather than severe radiating pain, these patients experience weakness or swelling. Understanding the origin of your pain can assist doctors in providing effective sciatica treatment. A doctor of chiropractic can identify the source of your sciatica to provide effective treatment. Ailianou A, Fitsiori A, Syrogiannopoulo A, et al. Review of the principal extra spinal pathologies cause of sciatica and new approach by MRI. The British Journal of Radiology 2012. E-published ahead of print. doi: 10.1259/bjr/84443179. Written by: Michael Melton on November 16, 2014.Modified on November 14, 2014.